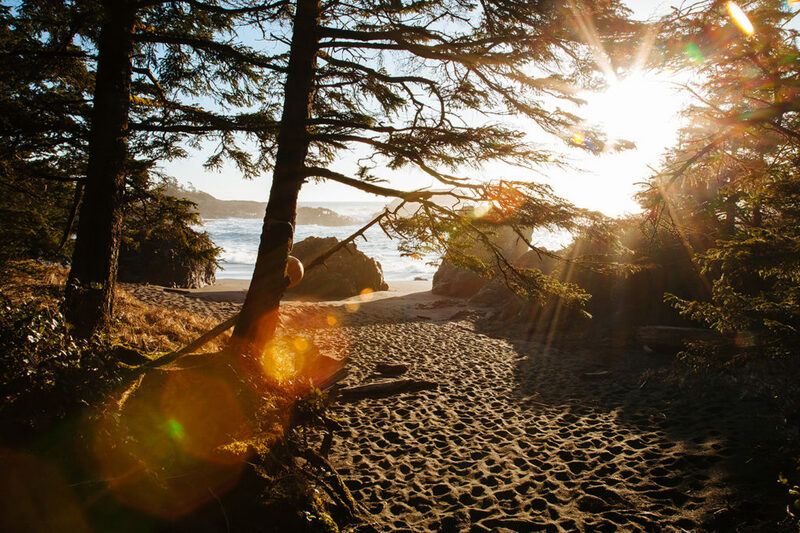 From offshore salmon and halibut fishing to inshore saltwater or fresh water fly fishing, Tofino’s waters are home to possibilities… with fish and charter options. The cold waters of Clayoquot Sound have historically provided rich feeding and breeding grounds for several species of fish, while being on the migration path of a number of major salmon runs. The vast continental shelf provides baitfish and habitat for bottomfish, including halibut. This, combined with the growing movement for conservation and dedicated salmon restoration initiatives funded by the Clayoquot Salmon Roundtable, all contributes to build the long-term sustainability of our fish stocks. Our member fishing Charter outfitters are equipped with the gear, local knowledge and skills to take you where the fish are. 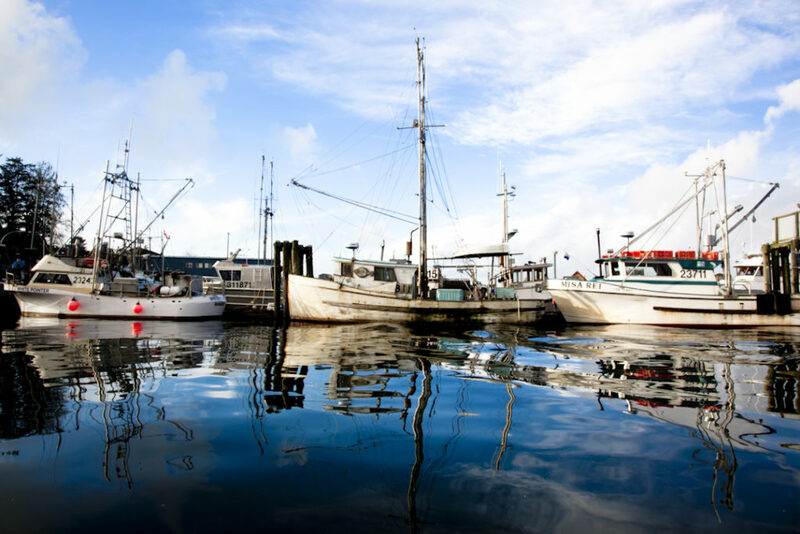 While the main goal for many people is to target salmon offshore, our waters are also home to large bottomfish like halibut, lingcod and rockfish. Delicate spot prawns can be fished in winter and spring, and there’s also Dungeness crab, known for its sweet, mild flavour. Fishing charters can be generally scheduled as a full ten-hour day, or a five or six hour half day. If you’re interested in an all-ages boating trip, some outfitters offer a tour where distances travelled from the harbour are shorter than for a standard offshore charter, staying inshore (on our calmer inlet waters) or going slightly offshore. The fun can include learning to jig, setting and retrieving crab traps and some wildlife viewing. Last but certainly not least in the saltwater category is fly fishing. It’s an art, a skill and a sport. Get set up with a fly fishing lesson and you may just come away from it with fish – and a lifelong drive to perfect that cast. 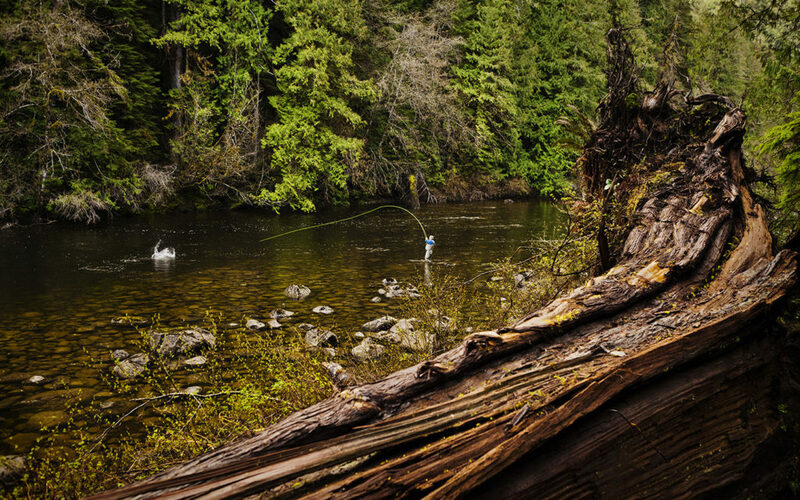 This is fly fishing paradise, where you’ll find adventure (and freshwater species) beyond Tofino’s harbour. 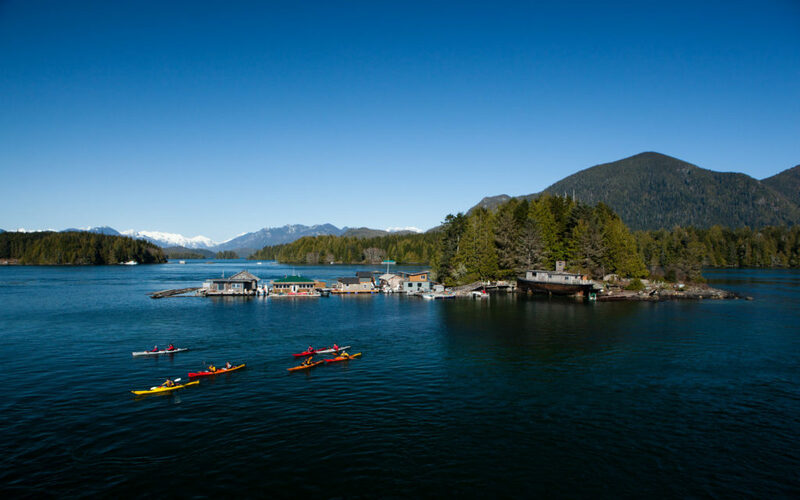 Pack up and board a seaplane or a helicopter to access the remote streams and lakes of Clayoquot Sound. Cutthroat, Rainbow and the feisty Steelhead trout inhabit these waters. The rule here is strictly catch-and-release, so you may want to have a camera handy for the victory shot. You’ll need a printed fishing license for any kind of fishing you decide to do, saltwater or freshwater – even if you decide to fish from the beach. Saltwater fishing? Apply for a tidal-water sport fishing license here. Freshwater fishing? Apply for a freshwater fishing license here.